I’m not the best bread person in the world. Most of my bread experiences have resulted in very dense, flat, flavorless masses that smell too much of yeast. I meticulously assembled the ingredients hoping for a little bit of success. I’m very happy to report that the bread turned out very well! It was more dense than the bread you buy at the store, but it was perfect. 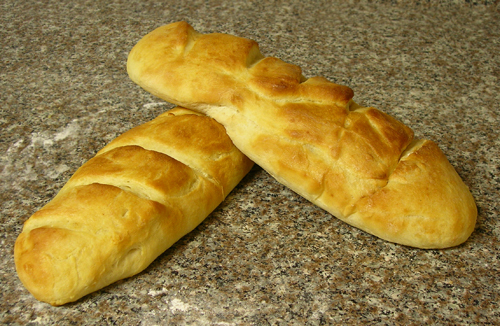 There’s nothing like munching on warm, fresh bread. I was just so excited about how well it turned out, I had to take pictures to prove that I actually did it. looks fabulous! let me just remind you that my ENTIRE third trimester all i ate was Easy Mac. Really, that was all. And the two steps required to make Easy Mac were one step too many!